How do you smile? When I smile, its a full-teethed smile. Lucky enough, I have fairly straight teeth thanks to the use of retainers when I was little. However, its not always the case for everyone and many people I know have braces and its not a cheap process. 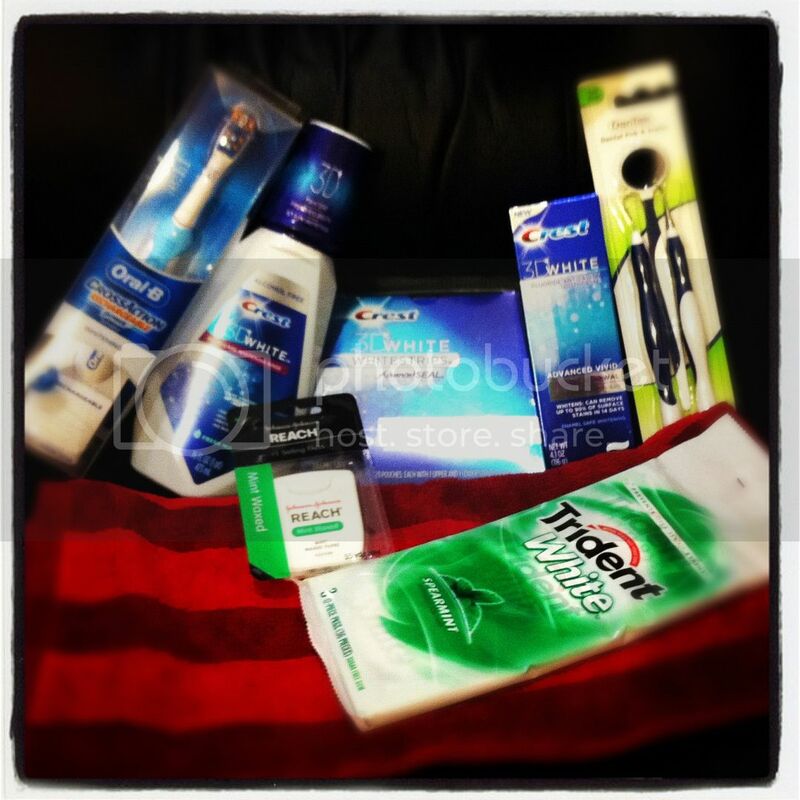 So this holiday season, I have some dental care products and giveaways to share with you. WOS is helping to run an awesome giveaway for a NY dentist. Enter to win a $100+ gift bag here and a grand prize of $7,700 Invisalign treatment courtesy of Westchester Smile Design. What's an Invisalign treatment? It helps to straighten your teeth line and eliminates the need for braces. The grand prize giveaway of a $7700 Invisalign treatment will take place on 1/12/2012 and all Fans of the Westchester Smile Design FB Page are eligible. Plus, if you like them now, you'll get an additional opportunity to win a $110.70 prize pack here on WOS! The Invisalign treatment will take place at Westchester Smiles dentistry located at 984 North Broadway, Suite 410 Yonkers, New York 10701. All travel costs related to getting to Westchester Smiles Dentistry is the responsibility of the winner. Any additional fees would be paid by the winner for dental work other than the Invisalign treatment. $7,700 represents the approximate retail value of the service, actual costs vary patient to patient. Winner chosen at random on Westchester Smiles Dentistry Facebook fan page on 1/12/2012. Grand prize winner has one year to redeem complimentary Invisalign service. You can "Try Animoto for free" ヅ *Thanks* for the giveaway! Hi! There wasn't an extra info box, but I am subscribed to your emails as acluisi (at) hotmail (dot) com. Also, I stumbled this post as marthalynn2. Thanks! this is a relatively young company which is designed to bridge the gap between professionals and amateur videographers. It sounds like a great thing. I'd love to win this for me - I want to take better care of my teeth! I would love to win this for myself!!! I want great looking teeth!!! I would like to win this for my brother! Actually, I would like to win this for ME! My StumbleUpon name is ramercier. i would like this for my boyfriend. I would love to win this for my family. We could all use different products. I would love to win this for myself (currently in braces) and my 13 year old son. Thanks. Awesome giveaway! Id like to win this for myself! I'd love to win this for my family! :) Thanks so much for the chance! I would probably divvy it up between my boyfriend and myself. I would love to win this for myself i have recently quit smoking and trying to get my teeth to look alot better now and to smell better. I'd like to win this for myself. Thanks! would want to win this for myself! I would love to win this for me and my family. I would like to win this for myself but most of it would be great to shared with my husband and children. I'd win this in for my whole family. I would like to win this for myself because I don't floss or go to the dentist nearly enough, unfortunately. I'd like to win it for the family. I'd like to win this for my family! I'd love to win for my family. I would like to win this for my daughter or myself, we could both use it! I would love to win it for me. We'd use it for our whole family.